Goji berries or wolf berries (“kỷ tử” in Vietnamese) are also called “happy” berries. They have been used for centuries in East Asian food and medicine. You can buy some in the traditional herb shops of Cho Lon. This mild, tangy fruit is a little sweet and sour and you can usually buy it dried. It has been used by Chinese & Tibetan herbalists to help eyesight, protect the liver, boost immune function and to promote longevity. 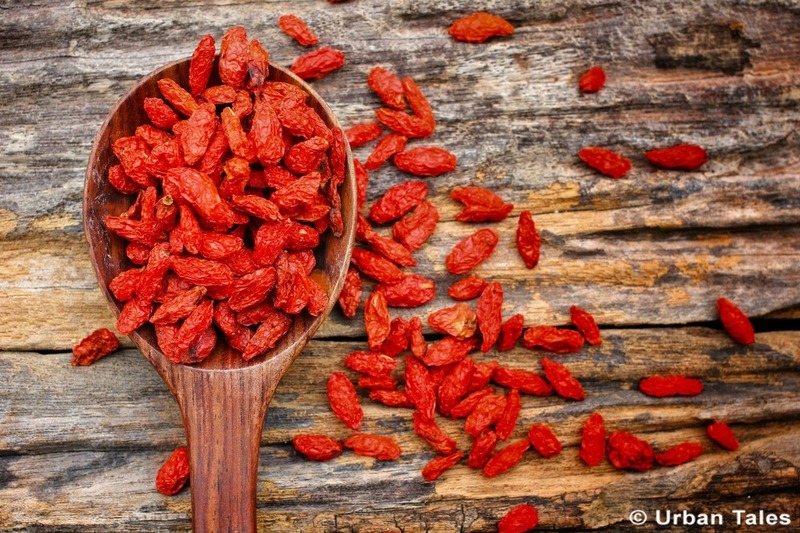 Because of their high antioxidant qualities, adding goji berries to your diet is said to be very beneficial. 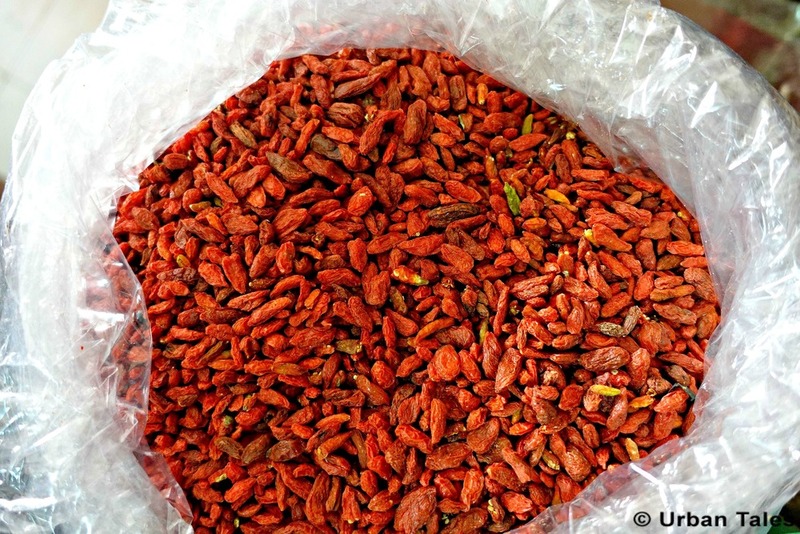 Goji berries or wolfberries have been used in traditional Chinese medicine for millennia and the bulk of the world production is grown in China. Following the trends of getting closer to nature and consuming organic products for a better & healthier life, goji berries are getting very fashionable. They are more and more popular in the West, where they are touted as a superfood, uncommonly rich in vitamins and antioxydants and nutrients, especially known to promote longevity, boost brain activity and protect against heart disease and cancer. In Chinese cuisine, adding goji berries to soups or to herbal tea by boiling them has been the most commun use for more than 6,000 years, making kind of medicinal potions. Raw: First and foremost, you can simply eat them raw as a quick and handy snack! Have a small handful a day is enough. Juice: Goji berries could also be consumed in juice form, in that case you need a juicer to have it homemade. 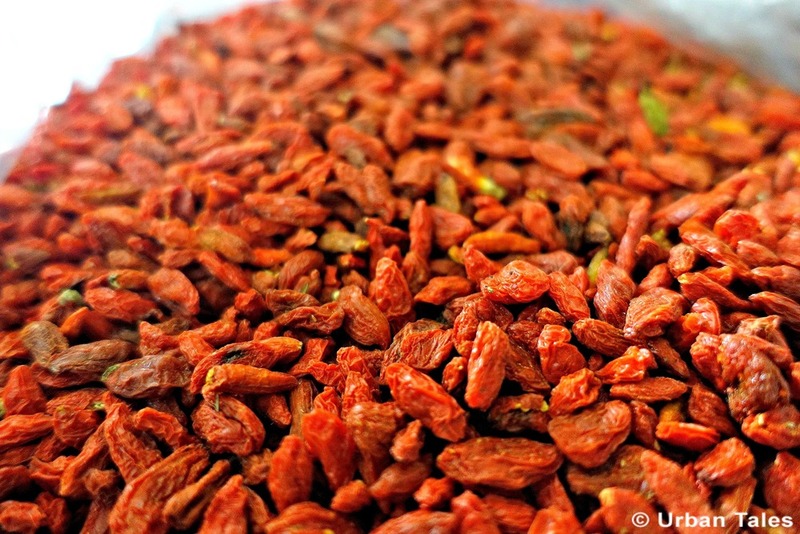 Tea: if you are more in a calm & zen mood, you can infuse your goji berries in hot water. Or you can simply add a handful of goji berries to your mug of hot water or of herb tea and let it sit and hydrate for 5 to 10 minutes. In the hot water, they become plump and juicy. You can drink the tea and eat the hydrated berries. Smoothies: if you feel you need a little boost before a meeting or after a gym session, you can soak a handful of goji berries in water for 10 minutes and once they are plump and juicy, you can add them to your favorite smoothie. It will make your smoothie much healthier. Salad Mix: You can also add goji berries to your favorite mixed salad, combining them with some nuts, seeds and dried fruit. In cereals: Just like raisins or strawberries, you can add some goji berries to your bowl of cereals in the morning. If you want to visit some traditional herb shops, book our self-guided tour and come investigate the strange case of Dr Lam!